Barcelona has plenty of nightlife for you to choose. Pretty much every neighbourhood has its hotspots to have some drinks and fun. Barcelona is quite safe at night as long as you are careful with your belongings. To put the cherry on top, the underground is open on Friday until 02:00 and Saturday ALL NIGHT LONG, helping you to move around Barcelona nightlife. Barcelona has its nightlife well spread around town and there is no neighbourhood that will offer you better places than other, they are simply just different. All of our top-10 clubs have an underground station close. We made a selection of our 10 top nightclubs for you to check them out!! Style: 5 ambiences. Rock, mainstream, drum n’bass, techno (The Loft) and alternative. Fantasy becomes reality. An old factory converted into a 5 ambience, multi-level disco with ambiences, DJ’s and music suitable for all tastes. Located in a quiet area with no neighbours, location is perfect for, probably, the best club in town. Budget: €€ (9 to 16 € cover, over 12€ include one drink). Style: 2 ambiences. They are varied. Mostly concerts, indie and even karaoke. The club also owns a burger diner just at the corner. Apolo is one of the legendary clubs in Barcelona, and has survived ever since 1979 through a constant change. First cabaret, in the 80’s disco, in the 90’s Techno and Electronic and nowadays has focused on Indie, while still playing House and Electronic music. They also offer pin-up masquerade shows in a unique and varied repertoire that is second-to-none in Barcelona nightlife. The dance floor is packed and sweaty, be warned. Style: House. During the day is a restaurant. The club is quite select and clothes will be checked. They opened in 2007 at the shore (you can even make it 5 steps to the sand in the beach) and no one thought they would succeed. Five years later, Opium Mar is not only the pioneer club in the area, but also has attracted other clubs to open at the beachside. They offer quality DJ’s that come over to play on one-night stands. It might be expensive, but you will get great quality. During the day you will find a lounge place, only to see how it packs with people when the night comes. Style: House. During the day is a Japanese restaurant. Celebs such as Madonna have been seen here after their concerts in Barcelona. A revolutionary concept for sushi lovers! A Japanese restaurant that turns into a club for the dessert! If you like Sushi and house music, you now know your place to enjoy Barcelona’s nightlife! Style: 3 ambiences. Club/House music, R&B, and tech-house. Attendees are heterogeneous and international. What used to be Fellini’s club, the reference club for Indie in Barcelona, now turned into a multi-ambience club oriented for international visitors. In this club you will be able to find different ambiences to your choice! Style: 2 ambiences. The upper level has Hip-Hop and R&B, and the lower level house and club music. International visitors love this club. Catwalk has become quickly one of the reference clubs in the shore of Barcelona. In the area of Vila Olimpica (what used to be the residence of athletes in the Olympic Games back in 1992), plenty of clubs are offered. Catwalk stands out as one of the first to make a bet on Hip-hop and R&B, although later on, it incorporated House music. With over 1,500 square meters, the only worry is not losing your friends! Style: Pure techno at the main floor and indie legends at the upper floor. Pete Doherty has been seen here. Enough said. Feel like treating yourself with an underground club? If you like good beat and crowded clubs, this is your place. Established in 1915, the club was initially a Gentleman’s Club that evolved with music. In 1996, due to the rise of techno music, the management decided to change the name in honour of Robert Moog, inventor of the synthesizer. Nowadays is the last standing place for good techno in Barcelona, together with The Loft at Razzmatazz Club. Style: 2 ambiences: one with Rap, R&B, Hip-hop and one with 70’s and 80’s. Attendees are casual and heterogeneous. Jamboree started as a jazz club in 1960, and they did not have holidays since then. Probably is one of the clubs in Barcelona that can fancy of not shutting down the club a single day. Two times a day, and 365 days a year, the club remains open with Jazz concerts and party late at night after 23:00. Style: Mainstream music and glam ambient. Stylish club. Brand new and rocking! Opened at the beginning of 2012, Bling Bling offers you a glam experience with exquisite decoration and mainstream music. Also, many exhibitions on cars have been done inside the disco. A chic joint that lives up to the hype! Style: 3 different ambiences. Mainly chill out. Select club. Founded in 1987, this club offers you the ultimate lounge experience. While being in one of the most select and exclusive areas of Barcelona, the club will make you forget the urban experience and transport you straight to an exotic Indian palace, depending on which ambience you choose. A great choice for those who prefer clubs not crowded or packed. We strongly suggest checking the website before visiting to make sure there is no private party during that night! Take into account metro timetables to avoid having a surprise. However, you have NIT-BUS that will move you around town during late hours but you will have to wait more than in the underground! Make the effort to walk to your apartment or use the public transport. Avoid getting a taxi, usually they rip-off people knowing they just want to get home. Getting home dizzy and ripped off is not the best end for your night! Drink responsibly and you will avoid problems. Call 112 in case of emergency: police, fire fight or ambulance. Careful with drinking on streets or buying alcohol on the streets: this has been approved to be fined with fines up to 1,500€. Better to sit in a bar. If you feel like partying during the week, remember that from Sunday to Thursday underground closes at 00:00, Fridays at 02:00 and Saturdays there is all night service. Be smart. The last underground will start at each terminal station at 00:00. So if you are 5 minute late, hurry up! 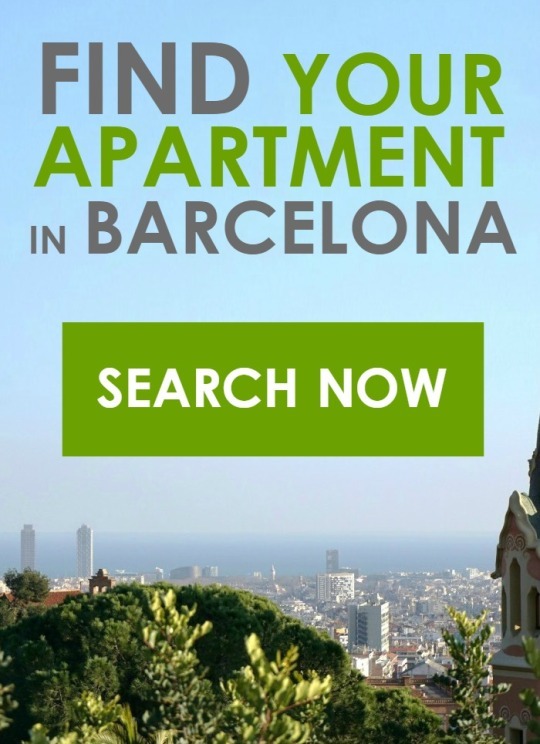 This entry was posted in City guide, Clubs, Live music, Nightlife, Practical tips, TOP 10 's, What to do and tagged accommodation, Barcelona, Barcelona night out, bars, concerts, discoteques, music, pub, recommendations, Tips on March 8, 2014 by ApartEasy.